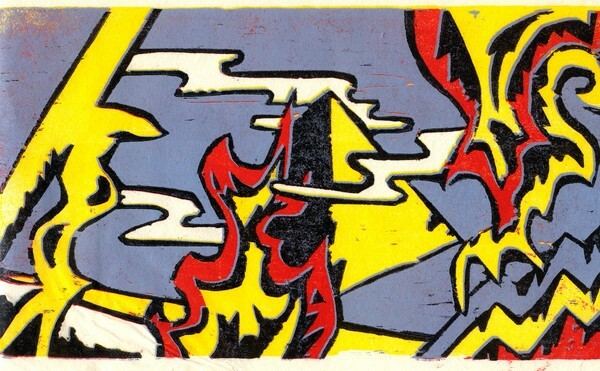 4 color relief woodcut engraving of flames and smoke around pyramid printed on mulberry paper. 1/1 Artist Proof. 11.5" x 6.5" image size. Unframed.